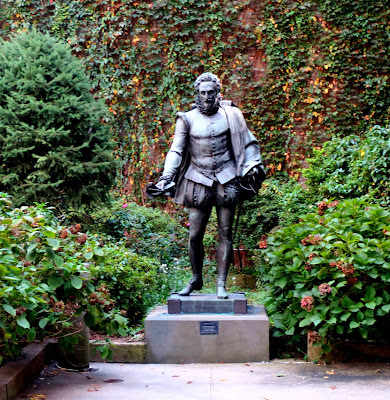 The statue of Miguel Cervantes, the famous Spanish writer and painter, stands at the end of a long, narrow courtyard on the campus of New York University, Greenwich village, in the charming “Willy’s Garden” near the Graduate School of Arts and Science. 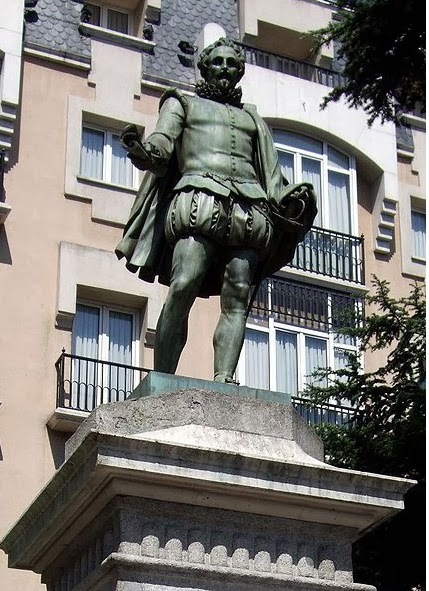 Miguel de Cervantes (1547 -1616) was a Spanish novelist, poet, and playwright. His novel Don Quixote is considered to be the first modern European novel and is regarded among the best works of fiction ever written. 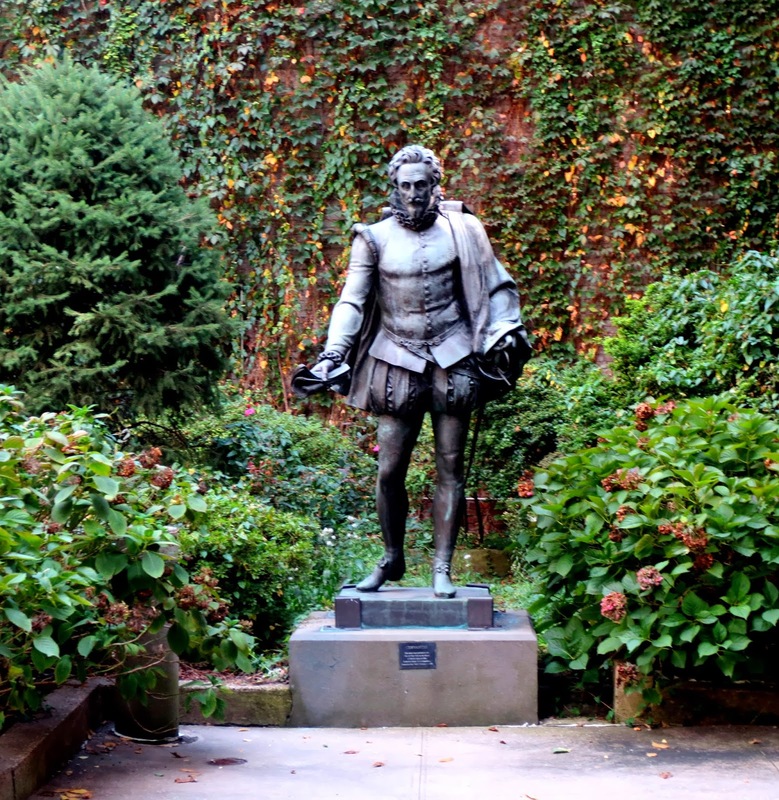 New York’s small Spanish colony first proposed to raise money to donate to the city a statue of Miguel de Cervantes at the end of nineteenth century, at the time of the Spanish–American War. 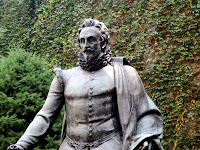 The New York Spaniards hoped that the monument would be placed in Central Park, and would help improve Spain’s image in the city. 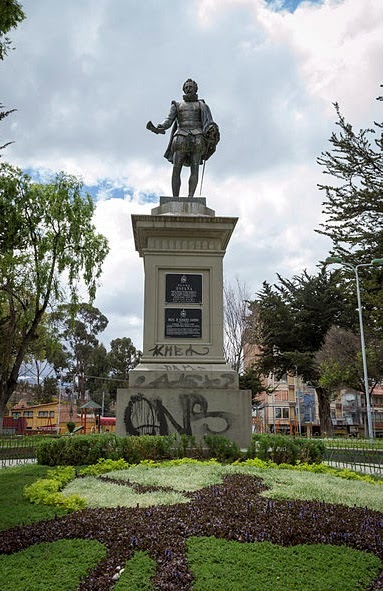 But the monument was never built. 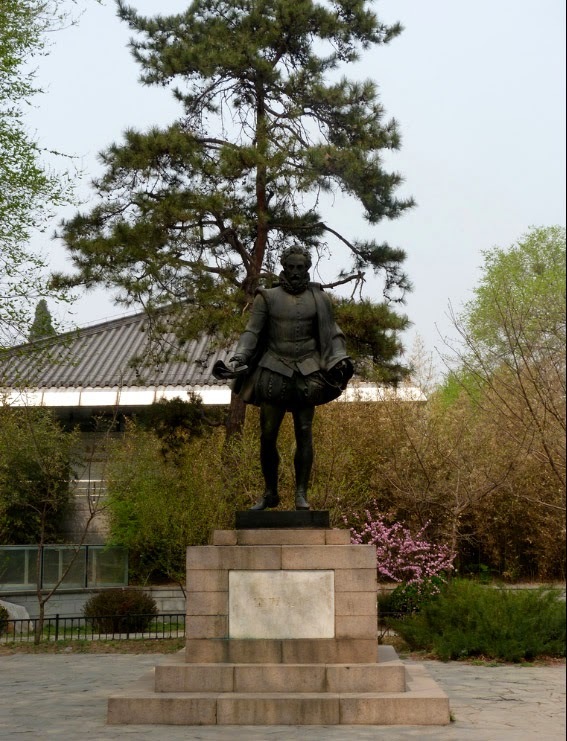 In 1986, Enrique Tierno Galván, Mayor of Madrid, the capital of Spain, ordered three replicas to be made of the 1835 sculpture of Cervantes created by Antonio Solá, the director of the Spanish Academy at Rome, often considered to be Spain’s last great neoclassical sculptor. 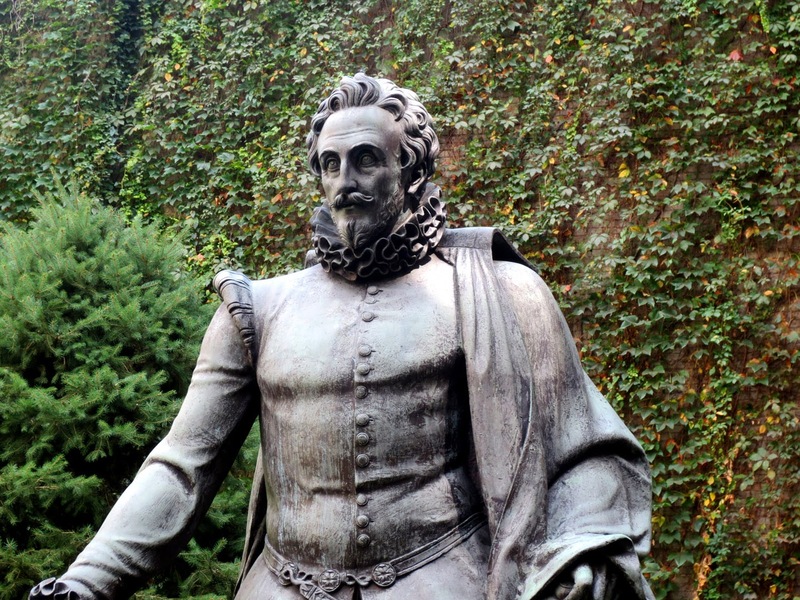 The original statue is of Cervantes located now at the Palacio de las Cortes in Madrid. Tierno Galván in 1978 was chosen to write the preamble to the Spanish Constitution. 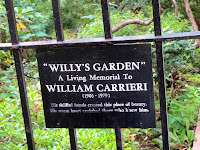 He founded the Popular Socialist Party n 1968 and was its President until 1978. He was elected Mayor of Madrid in 1979, reelected in 1983, and remained in office until his death in 1986. Tierno Galván presented the three replica statues as gifts to the cities of La Paz, Bolivia, Beijing, China, and New York. A gift from the city of Madrid was originally installed in Bryant Park until 1989, when the park underwent a massive restoration project. 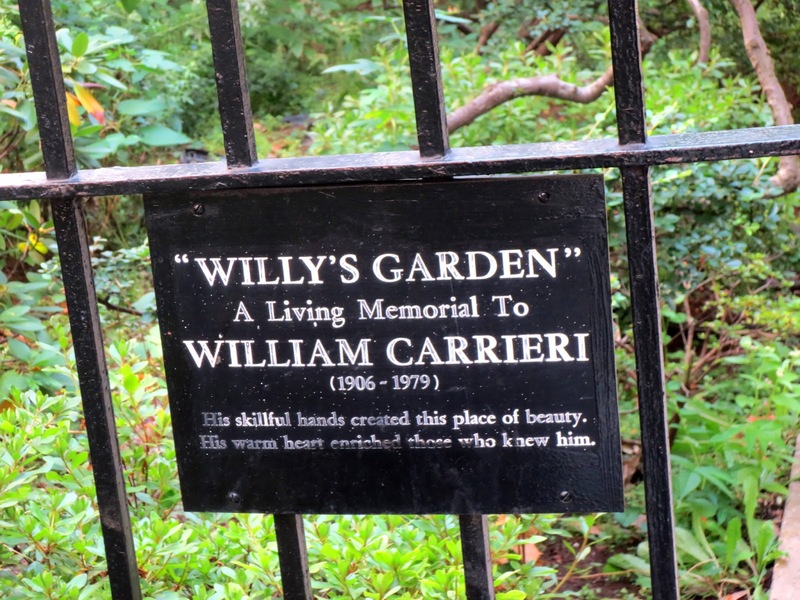 The statue was then supposed to be relocated to the middle of Washington Square Park, but The New York University decided to place the statue in the “Willy’s Garden” .